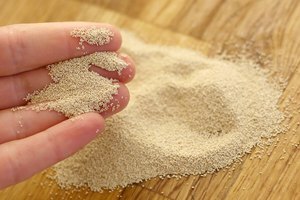 Yeast is a type of fungi that is available in many varieties and is used to make leavened bread, beer and some wines. 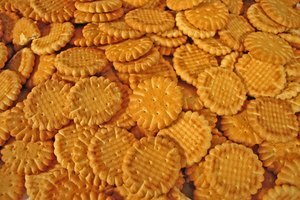 Some people have an aversion to this ingredient, although nearly all breads from the grocery store contain yeast. However, there are ways to make bread without it. 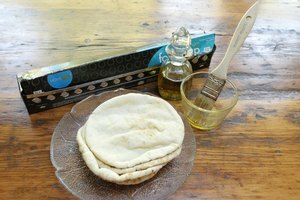 If you have a yeast allergy or just ran out and don't have time for a trip to the store, you can make your own pita bread without yeast. 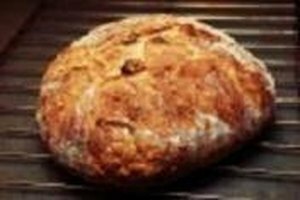 Pita bread is one of the easier breads to make yeast-less because it normally is dense and does not rise much. Stir 3 cups of flour and 1 tsp. of salt together in a mixing bowl. Drizzle warm water into the mixture about ¼ cup at a time while stirring. Stop adding water when the dough is slightly tacky but not sticky. Mix just until the dough is smooth. Knead the dough in the mixing bowl for approximately five minutes. Roll the dough into 12 small, smooth balls, and set them on a pan or plate to rest for 10 minutes. Preheat a skillet, frying pan or griddle over medium-high heat. Use a rolling pin or your hands to roll out the balls one at a time. Each one should spread into a very thin circle, approximately 6 inches in diameter. Add a little butter or vegetable oil to the skillet, and lay one circle flat in the pan for about 90 seconds or until bubbles begin to appear. Flip the pita circle and cook until slightly browned. 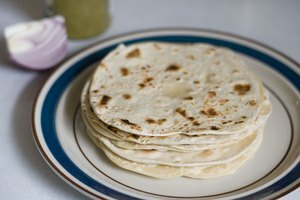 Stack the cooked pitas with a paper towel in between each one to absorb any excess oil and to keep them from sticking together. 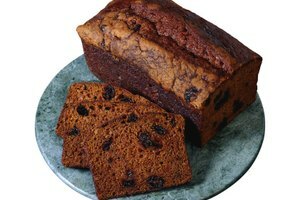 Any combination of white and wheat flour will work with this recipe. Add herbs or spices to taste. Try incorporating cheese, spinach, sun-dried tomatoes into the pita dough as well. 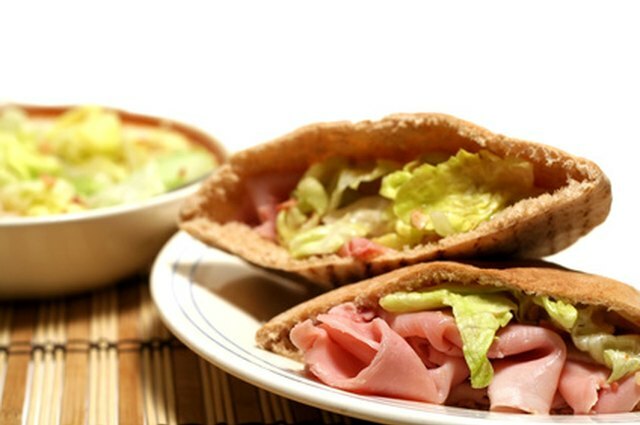 Pitas are best served warm, but can be stored wrapped in plastic wrap in the refrigerator for several days.